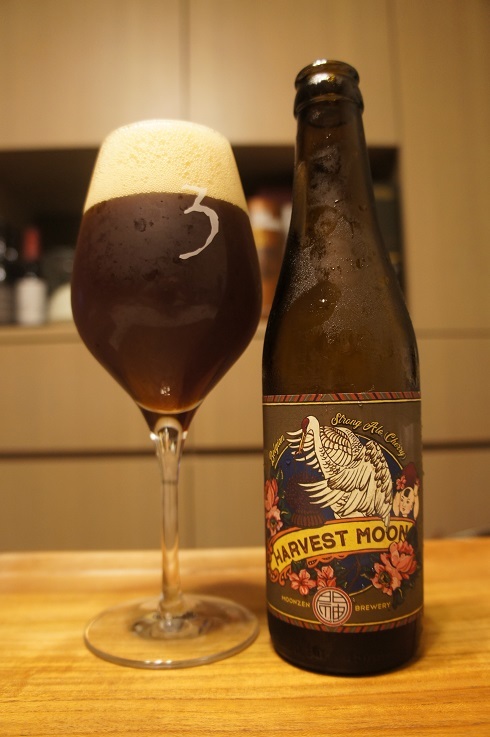 Brewer Description: (from bottle) Harvest Moon (Cherry) is a silky and full-bodied Belgian Strong Ale fermented with cherries, French oak and cocoa. With hints of tawny leaves and withered hedges, all perfectly balanced to enjoy on a cozy day. Intro: A 330ml bottle with no clear bottled on or best before date. Poured into a 3 Fonteinen stemmed glass. Appearance: A cloudy ruby amber brown colour with a two finger beige head that had good retention, but eventually settled to a nice replenishing layer while leaving some curtain like lacing. Aroma: Booze, cherry, plum, apple juice, roasty, cocoa. Taste: Boozy, herbal, lemon, grass, oak with some light roast, plum skin, apple juice and cherry. 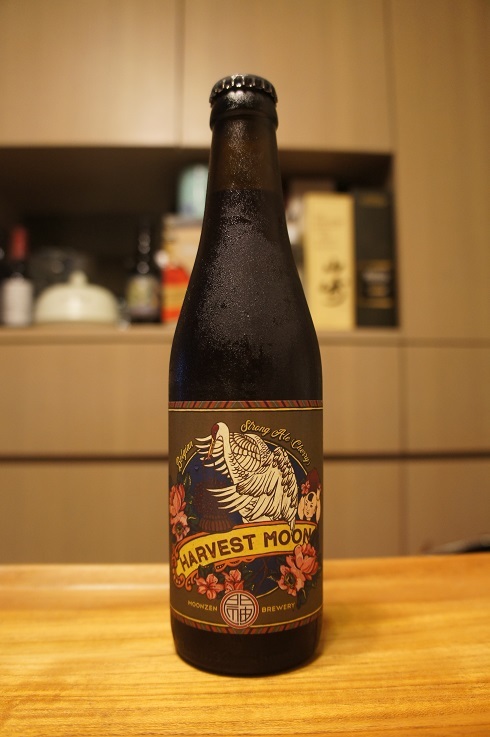 Overall: I easily preferred the plum version of Harvest Moon more. In this version, the booze and herbs dominate the flavour while the nice dark fruits I was getting in the plum version were only in the background, almost like an afterthought here.